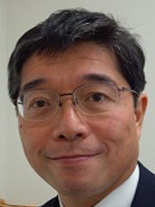 Professor at MIT and UTokyo. Was on the original MIT team that proposed OpenCourseWare and former Chair of the MIT OpenCourseWare Faculty Advisory Committee. He was awarded the President’s Award for OCW Excellence from the Global OpenCourseWare Consortium. He is also Co-director of Visualizing Cultures (visualizingcultures.mit.edu) with the Pulitzer Prize-winning historian, John W. Dower, which was awarded MIT Class of 1960 Innovation in Education Award. 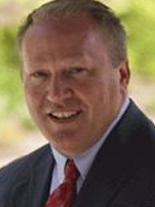 Scott Kinney was named president of Capella University in January 2012. Scott is passionate about the opportunity for innovation in higher education to deliver on the country’s need for a higher-skilled workforce, while improving access, affordability, and completion. 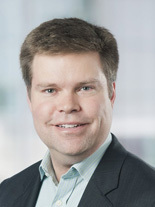 Prior to joining Capella, Scott held various leadership roles at Thomson Reuters. 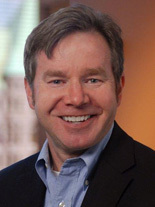 Scott began his career as a software engineer, later joining The Boston Consulting Group. He also was COO/CFE at BigCharts and after its sale to CBS MarketWatch, he served for five years as executive vice president of Licensing. Scott holds a bachelor’s degree in geology from Dartmouth College and an MBA from Stanford University. He lives in the Twin Cities with his wife Barbara, a molecular biologist, and two college-aged daughters. Jason Palmer, Deputy Director, Postsecondary Success leads the foundation’s efforts in online and blended learning solutions, digital courseware, student coaching and advising, competency-based learning, seamless credit transfer, and employer pathways. Prior to the foundation in 2013, Jason founded and grew three investor-backed technology and services companies before holding a series of executive positions at Microsoft, SchoolNet, Kaplan, and StraighterLine. Jason holds a B.A. in interdisciplinary studies from the University of Virginia and an M.B.A. from Harvard Business School, and also serves on the University of Virginia’s Curry School of Education Foundation Board. Previously he was head of Google’s core search algorithms group, and of NASA Ames’s Computational Sciences Division, making him NASA’s senior computer scientist. He received the NASA Exceptional Achievement Award in 2001. He has taught at the University of Southern California and the University of California at Berkeley, from which he received a Ph.D. in 1986 and the distinguished alumni award in 2006. He was co-teacher of an Artifical Intelligence class that signed up 160,000 students, helping to kick off the current round of massive open online classes. 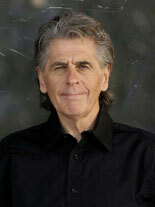 Dr. Keith Devlin is a co-founder and Executive Director of the university’s H-STAR institute, a co-founder of the Stanford Media X research network, and a Senior Researcher at CSLI. He is a World Economic Forum Fellow, a Fellow of the American Association for the Advancement of Science, and a Fellow of the American Mathematical Society. His current research is focused on the use of different media to teach and communicate mathematics to diverse audiences. In this connection, he is a co-founder and President of an educational technology company, BrainQuake, that creates mathematics learning video games. He also works on the design of information/reasoning systems for intelligence analysis. Other research interests include: theory of information, models of reasoning, applications of mathematical techniques in the study of communication, and mathematical cognition. He has written 32 books and over 80 published research articles. Recipient of the Pythagoras Prize, the Peano Prize, the Carl Sagan Award, and the Joint Policy Board for Mathematics Communications Award. 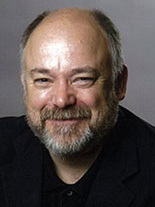 In 2003, he was recognized by the California State Assembly for his “innovative work and longtime service in the field of mathematics and its relation to logic and linguistics.” He is an advisor on issues of mathematics learning and assessment using video games for GlassLab and ETS. He is “the Math Guy” on National Public Radio. Oddgeir Tveiten, PhD is professor of media studies at the University of Agder (Southern Norway) and professor of journalism studies at the NLA University College (Bergen, Western Norway). He also teaches journalism and media studies at Uganda Christian University in Mukono, Uganda. A founding member of the Future Learning Lab, he pursues research and networks globally on issues relating to Globalization and transformative change of knowledge flows in the post Web 2.0 information ecology. This in part with a focus on journalism education, and in part with a more general orientation to new digital learning landscapes as they now globalize education. Among other publications, he has written several books in Norwegian on journalism and is now working on an English volume on global journalism, while working with a company to set it up as a MOOC. Tveiten was a Fulbright Fellow at the University of Minnesota from 1984 until 1989, where he obtained a PhD in international communication. He has co-founded two academic journals, and is on the board of several others. He was visiting scholar at Stanford University in 2008-2009, and again in 2014-2015. Started up in a small fashion in 2009, Future Learning Lab now has projects and extending networks in a number of countries, including the United States. Working collaboration with Stanford University was established in 2009, and has been frequent since. 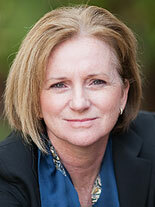 Catherine Casserly is passionate about designing highly effective learning eco-systems for all. She is Vice President of Learning Networks at EdCast, a Stanford StartX company, that advances learning effectiveness with scale. Cathy is a Fellow with the Aspen Institute, providing leadership for the implementation of recommendations emerging from its Task Force on Learning and the Internet. She is also a member of the Technical Working Group for the development of the 2015 National Education Technology Plan. Previously Cathy was CEO of Creative Commons, a global nonprofit dedicated to sharing educational, scientific, data and cultural assets. An early architect of the open educational resources (OER) field, she launched and managed a complex portfolio for The William & Flora Hewlett Foundation as the OER Initiative Director. As Vice President of Innovation and Open Networks at the Carnegie Foundation for the Advancement of Teaching, she spearheaded work in the science of improvement research to accelerate progress for community college students in developmental education. Early in her career, Cathy taught mathematics in Kingston, Jamaica. She is a founding board member of the Digital Public Library of America and Peer-2-Peer University. She is a member of the Advisory Council for NSF, Education and Human Resources. 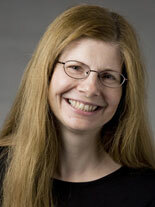 Cathy earned her Ph.D. in the economics of education from Stanford University. Damian has been at the forefront of online services, digital media, knowledge management, and higher education for twenty-five years; after earning his doctorate in Strategy from Rensselaer Lally School of Management he experienced first-hand the focus of his research, new business creation within established firms, at America Online’s Greenhouse program which led to a decade of engagement there with streaming media, security technologies, digital publishing systems, and electronic commerce (including being named the inventor the patented AOL Wallet). After AOL, Damian started his own digital media firm, Digital Shoeboxes and then was recruited into Hillcrest Labs – an interactive TV startup that sought to simplify content choice with a unique integrated user experience based on full motion control. Later as VP of Marketing and Product Marketing for Open Text’s Digital Media Group, Damian oversaw the development and commercialization of software and services targeting publishers, media companies, and digital marketing firms. For the last ten years Damian has taught twice a year a course on Technology Strategy at Georgetown’s McDonough School of Business. His passion for teaching and his familiarity with Digital Media convinced Damian in 2012 to focus his career exclusively on innovation in education and in that year co-founded a digital education consultancy, Course Gateway to help institutions navigate the technology and programmatic choices of the times. Other employment includes first staff office at the Computer Science and Telecommunications Board U.S. National Research Council and several technology startups. Damian holds an MS from the Massachusetts Institute of Technology and a BS in computer engineering from the Ohio State University. Michael Shanks has since 2011 been CoDirector of The Revs Program at Stanford connecting the past, present, and future of the automobile – a project in the archaeology of the contemporary past. He was Visting Professor of Archaeology at Durham University (UK) in 2010, and Visiting Professor of Humanities, Humanities Institute of Ireland, University College Dublin, 2010 2013. 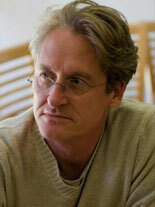 In the period 2004 – 2009 Mike was CoDirector of Stanford Humanities Lab with colleagues Jeffrey Schnapp and Henry Lowood. He is currently engaged in the d.School where he co-teaches design history with d.School founder David Kelley. 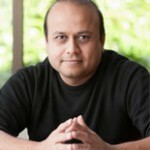 Karl Mehta is a serial entrepreneur, author, investor, engineer, and civil servant with over 20 years of experience in founding, building, and funding technology companies in the U.S. and international markets. He is currently Founder & CEO of EdCast Inc., a next-generation knowledge network and former venture partner at Menlo Ventures, a leading VC firm of Silicon Valley with over $4B under management. Previously, he was the Founder & CEO of PlaySpan Inc., acquired by Visa Inc. (NYSE:V), the world’s largest payment network. Karl also served as a White House Presidential Innovation Fellow, selected by the Obama Administration during the inaugural 2012-13 term. He was recently appointed by Governor Brown to the Workforce Investment Board of the State of California. In 2010, Karl won the “Entrepreneur of the Year” award from Ernst & Young for Northern California. Karl is on the boards of Simpa Networks and on the advisory board of Intel Capital and Chapman University’s Center of Entrepreneurship. 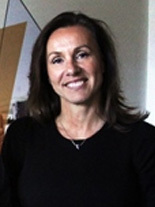 June Breivik is a leader in the education sector in Norway. She has experiences from K-12 and higher education. 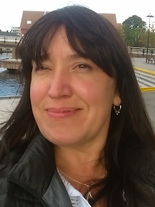 She was a member of the Norwegian MOOC-commission. 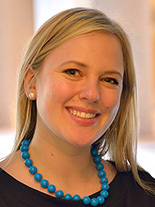 She is currently development manager e-learning at The Norwegian Business School BI. 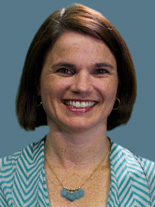 Jacquie Moen is VP, Online Education Platforms at Smithsonian Enterprises, a division of the Smithsonian Institution. In this role, she oversees the Smithsonian’s relationship with edX, and is building the Smithsonian’s initial portfolio of MOOCs. Ms. Moen partners across the Smithsonian’s 19 museums, 9 research centers, and the National Zoo to bring the Smithsonian’s vast collections and scholarship to global audiences. Ms. Moen’s background is in developing interactive online experiences at scale, and working with educators to find the intersection between innovative online education and consumer-friendly technology. She worked for AOL for ten years, developing content and products for family audiences, including AOL@School, AOL Kids, and AOL Teens. She has won two Telly awards for her work in online education programs, and has consulted with a wide range of companies, including National Geographic and Pearson. Ms. Moen received her BA from Princeton and MBA from Columbia, with an emphasis in Media. Masha Sedova is the Director of Trust Engagement at Salesforce.com where she is responsible for securing the human element of Salesforce.com. Prior to this she was the principal founder of Dymera Strategies consulting where she conducted social engineering and security awareness training to international companies and government agencies based on tools, techniques, and methods of prominent cyber warfare actors. Prior to consulting, Masha worked at Northrop Grumman and BAE Systems as a cyber threat researcher. She has a B.S. in Computer Science from the University of Tulsa and A.A. from Simon’s Rock College of Bard. 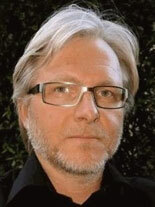 Dr. Kidwell is the CEO of Webstudent Americas and Cofounder of WebStudent International AS, based in Norway. WebStudent partners with universities to help them create online educational programs in global markets. Prior to cofounding WebStudent, she was the Director of Online Programs at the IC2 Institute, a think and do tank at UT Austin. She has worked with entrepreneurs in Korea, Mexico, South Africa, Norway, Russia, Colombia, Egypt, Hungary, Kazakhstan, India, and Jordan. She is an MSTC Alum (’07) and has a Doctorate in Business Administration from the Ecole de Management in Grenoble, France. Matt is associate director of the Zephyr Institute. He cofounded EdSurge, a news service for education entrepreneurs. He has spent his career at the intersection of education and Silicon Valley. Previously, Matt worked as a KIPP teacher and Teach for America corp member, and helped launch the Phaedrus Initiative, a network of blended-learning Catholic schools. 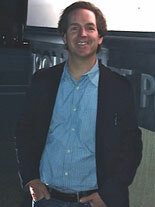 He was also a writer and event producer for VentureBeat, Vator TV and AlwaysOn. 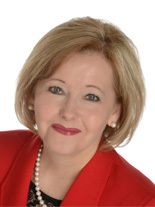 Martha Soehren is the Chief Talent Development Officer and Senior Vice President at Comcast University and Comcast Cable. Her career encompasses 14 years in the telecommunications industry; 25 years in the defense industry; and 13 years as an adjunct professor and research/academic advisor. Adrian Sannier is the Chief Academic Technology Officer at ASU Online and a Professor of Practice in the School of Computing, Informatics, and Decision Engineering at Arizona State University. He is part of the ASU team pursuing an ambitious program of general education reform that Inside Higher Education called “ground zero for data-driven teaching in higher education”, combining Big Data, social networking, and evidence based instruction to drive better student outcomes at scale. 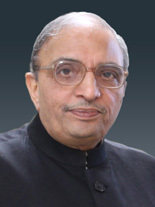 Dr Phatak has been working with IIT Bombay since 1971. He is currently a Professor in the department of CSE. He started the synchronous distance education, at IIT Bombay 15 years ago, and initiated an innovative program for training 10,000 teachers at a time. He set up the Affordable Solutions Lab in IIT to develop low cost devices. He headed the national initiative on Aakash tablets, and currently leads the MOOCs initiative of IIT Bombay. He has been an adviser to several organizations, and works on many company boards. He was conferred ‘Padma Shri’ by Government of India in 2013. 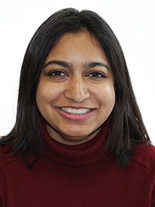 Chandrika Bahadur is Director for Education Initiatives at the Sustainable Development Solutions Network. 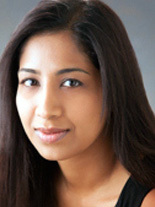 She has a background in economic development, international policy making and philanthropy. Previously she worked to help set up Reliance Foundation, a Rs. 1000 crores non-profit philanthropic foundation. From 2001-2008, Chandrika worked with the United Nations in different roles, including as part of the leadership team of the UN Millennium Project, an advisory group convened by the UN Secretary-General to recommend strategies for the Millennium Development Goals. Chandrika has graduated from the John F. Kennedy School of Government, Harvard University, and the Indian Institute of Management, Ahmedabad. 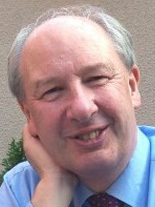 Paul Bacsich is a consultant in online learning (including distance learning) with 30 years experience. He covers both the post-secondary and K-12 sectors, with current interests in open educational resources (OER), public-private business models for providers, time issues in online learning, and competence-based higher education. He has skills in market research, competitor research, acquisition analysis and due diligence, as well as within institutions on benchmarking, quality systems, cost-benefit analysis, and change management. 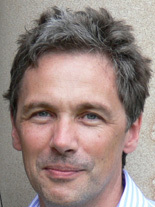 He has worked at the UK Open University and the UK e-University, as well as consultancies, and led several European Union-funded analytic projects on OER and virtual institutions. Molina manages strategic initiatives for Cerego, most recently leading the charge on developing and scaling Cerego’s personalized learning platform to low-income students nationwide as part of the Next Generation Courseware Challenge, funded by the Bill and Melinda Gates Foundation. She has an Ed.M. in Neuroeducation from Harvard and spent several years at Microsoft in corporate finance and education technology. 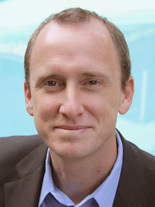 Erik T. Nelson, Ph.D., is the Associate Dean for Online Learning at Columbia University. Dr. Nelson has been tasked with creating and establishing a unified vision for the School of Continuing Education’s online programs. He is responsible for developing and aligning goals with the strategy and implementation plan for SCE’s online programming with the cross-disciplinary and professional mission of the school. Dr. Nelson will also manage existing relationships, as well as establishing new relationships across the university. Additional responsibilities: establishing an outcomes-oriented educational research agenda, overseeing institutional, state, and national regulatory matters, as well as developing rigorous online offerings. Director of the Australian Research Council Centre of Excellence in Robotic Vision, and Professor of Robotics and Control at QUT. He previously was a senior principal research scientist at CSIRO where he founded and led the Autonomous Systems Laboratory and the wireless sensor networks transformational capability platform. He is well known for his research on vision-based control, field robotics, and wireless sensor networks. 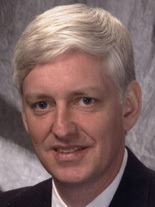 He currently leads the sensors and sensor networks theme, and was the former (and founding) research director of the Autonomous Systems laboratory. 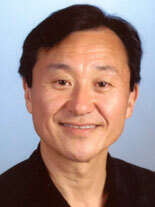 He is a Fellow of the IEEE, and is the author of the Robotics Toolbox for Matlab.